One of the smallest dome tents in our offer, the P30 is easy to set up with just a ladder, a wrench, and a couple helpers. Its compact size means it’s easily packed and transported. Serving as an amazing pop up or eye-catching trade show booth, the P50 can help you promote your brand and increase your sales results. 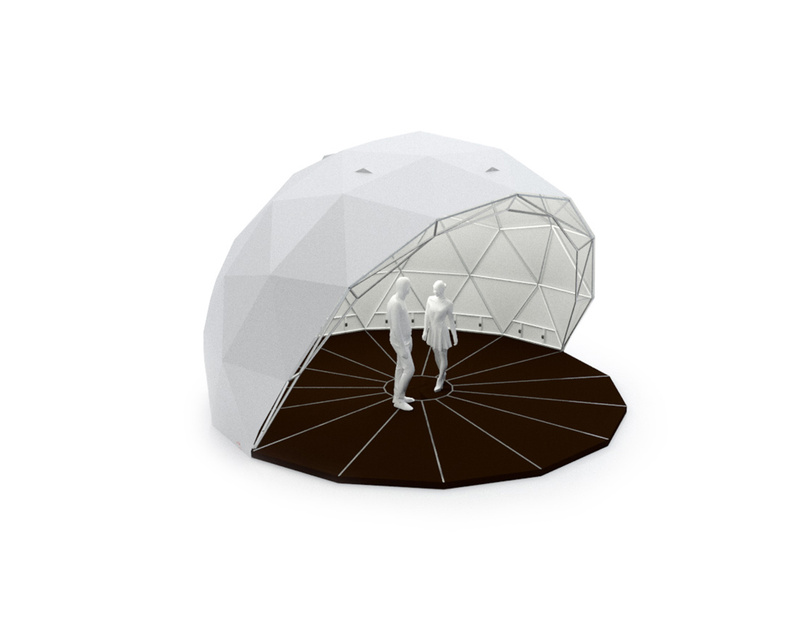 Polidome 75 – As with all Polidomes geodome tent, the P75 can be used in an open format as an event stage – geodesic open dome amphitheatre. The P110 is a popular choice for wedding events, trade fairs and other outdoor events with 50 or more attendees. It’s the perfect size for festivals or art exhibitions. The P150 is the largest event tent on offer which does not require heavy equipment for installation. Instead, we use our own pneumatic lift. 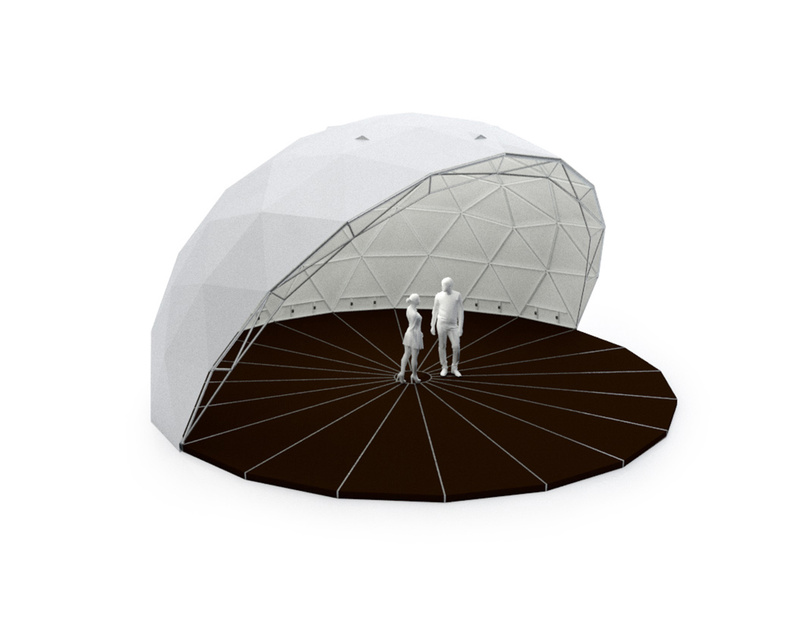 The P300 is the most popular outdoor event tent. 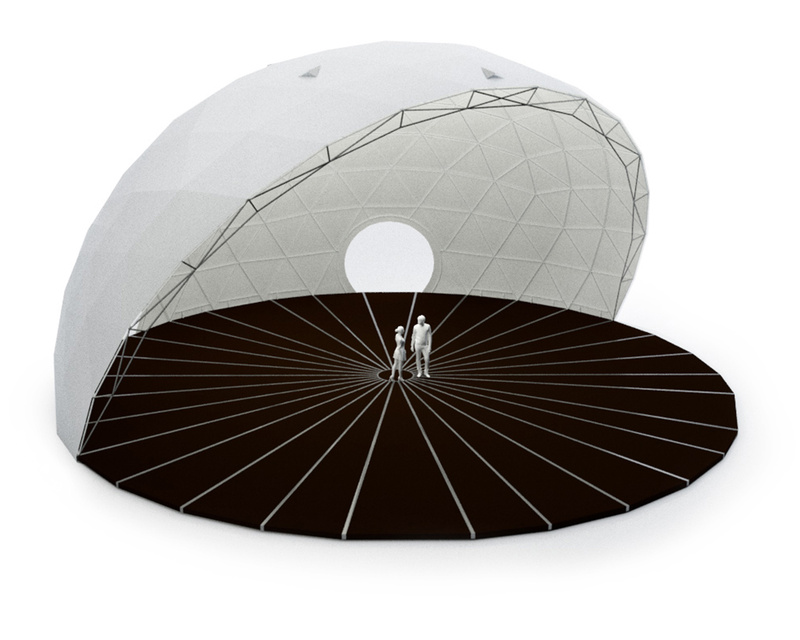 A P300 often is supported by smaller domes, connected by tunnels to form a city of Geo dome tents.